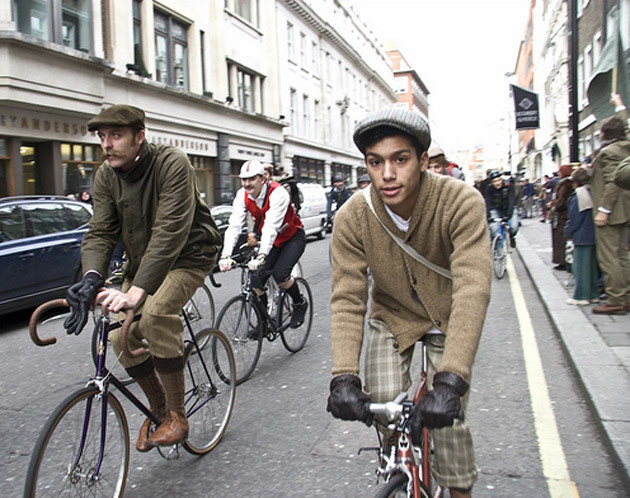 The London Fixed-Gear & Single-Speed forum held their first Tweed Run this past Saturday the 24th. 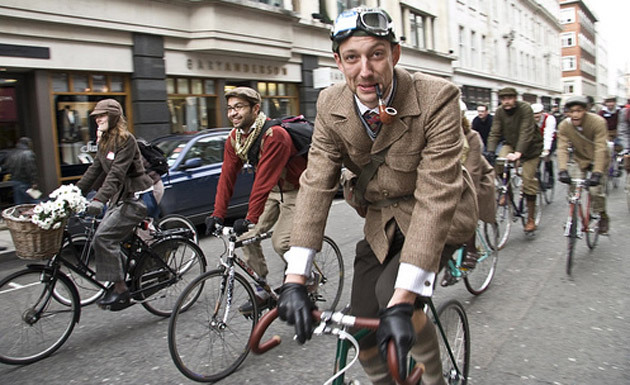 The social gathering brought together approximately 150 bike riders from the London area on a cruise around the historic city. 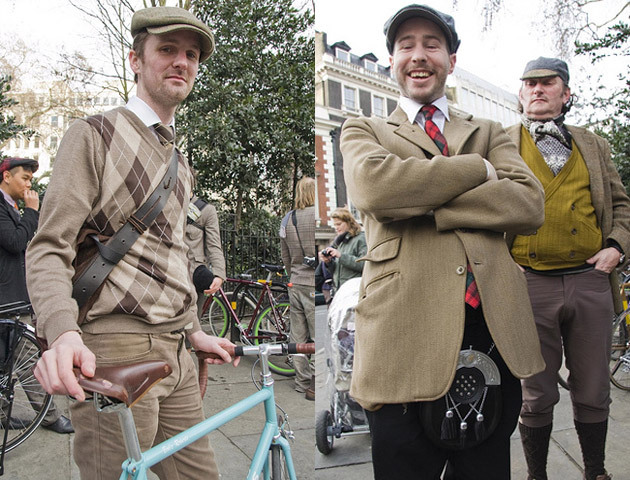 The event suggested attire of elegant proportions including Harris tweed & merino wool pieces, flat caps, ties and everything else that keeps a gentlemen looking dapper. Along with various awards in play, including: most dashing dame, most dapper chap and best mustache, the event held a draw for prizes benefiting Bikes4Africa, an organization that refurbishes bicycles and gives them to rural African schools so that students who live far away can attend class.